An awe inspiring handmade Murano glass vase with soft, swirling patterns of color overlaying a white base and accented with flecks of silver foil througout. Each vase is handmade in Murano, Italy using nearly identical techniques developed centuries ago on the very same island. 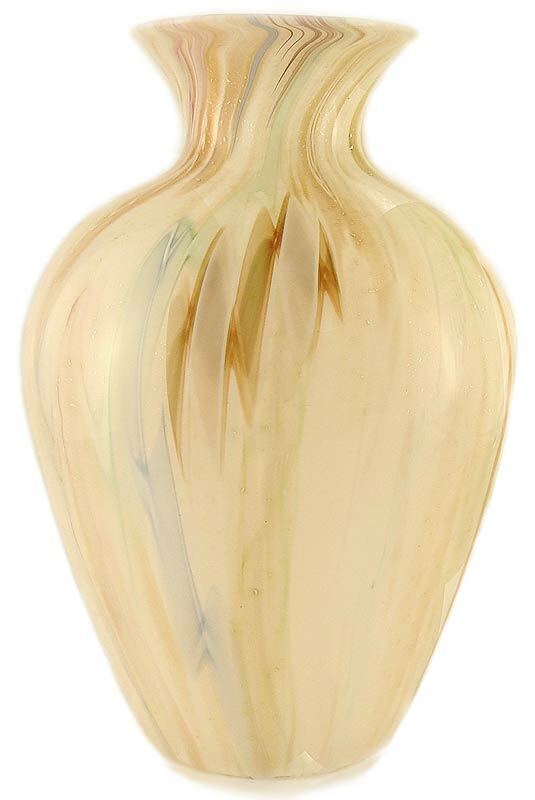 At approximately 11 to 12 inches in height, this round vase will surely be the focal point of any room.